According to Patch.com, hoarding is a mental disorder that affects two to seven percent of the American population. 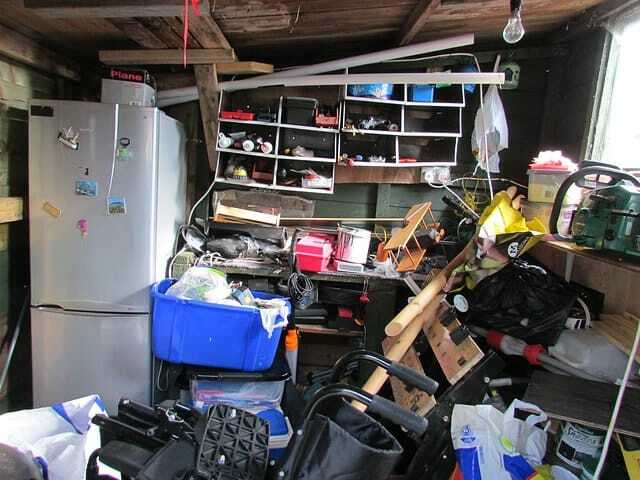 When a hoarder’s home is placed on the market, it is often accompanied by numerous problems and considerations. To many hoarders everything in the home is considered a prized possession. While most people might want to enter wearing bio-hazard suits and equipped with snow shovels to clean, the hoarder typically feels a dire need to individually separate all of the items before they decide to keep them or throw them away. This latter scenario presents many problems when it comes to a speedy sale. There are many different reasons for a hoarder leaving their home. Some have been forced out due to health and safety code violations. Others have found themselves in need of outside care and need the income from the home to finance that care. Some owners have died and the heirs must sell the home. Whatever the situation it is a difficult scenario and usually one in which a speedy sale is needed. The best option for many homeowners is to sell the compromised home in as-is condition. The potential buyer should be made fully aware that there is no way to tell the underlying condition of the home because of the amount of debris inside. There are, however, some investors who specialize in just such buys. They purchase the home as-is, allowing the seller to walk away without having to expend time, energy or costs on the monumental task of cleaning and repairing the home. Seller’s Advantage has helped many people in this situation by giving a quick, cash offer and speedy payment, allowing the home owner to walk away without any need to exert energy or expense in cleanup. Contact Seller’s Advantage today to discuss your unique home selling situation.